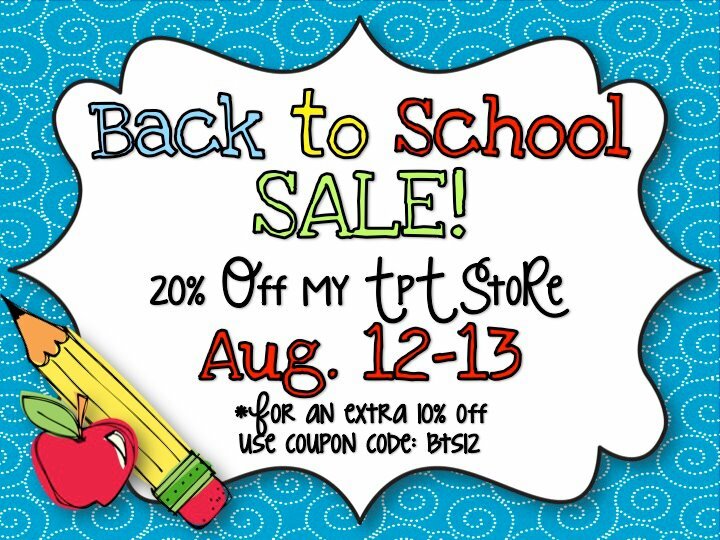 If your kiddos aren't already in your classrooms, they probably will be soon and if you are like me, you like to get a little help from your friends, so I'm super excited that Teachers pay Teachers will be having their Back to School Sale! The items in my store will all be 20% off and in addition TpT will be giving another 10%. That equals some big savings. Don't forget to use the code in the image below to get your extra 10% savings. I'm including links to lots of my products that you might want to check out below. If you need a sight word program for the entire year, a fun way to teach punctuation and some great graphic organizers for reader's responses and reading workshop then grab them now.